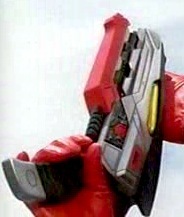 In the year 3000, Alex apparently served as the lone Red Ranger until being struck down by Ransik; he passed his Morpher to Jen and told her of four others in the Time Ship32. 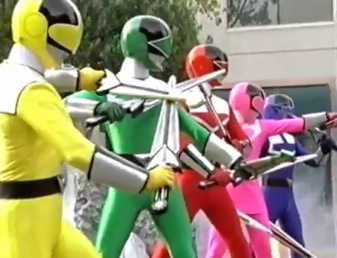 Curiously, these four Morphers became DNA-locked to Jen's team but wouldn't function without Red, which was DNA-locked to Alex; fortunately, Alex's year-2001 lookalike (relative?) 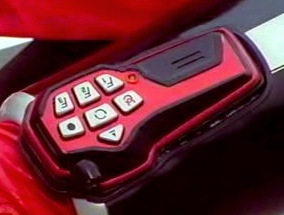 Wes was able to use it, unlocking the full team33. 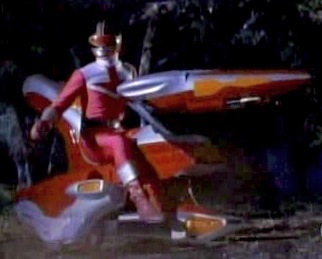 Among the Time Ship's wreckage were cases containing the (initially miniaturized) Time Jet34 and Vector Cycles35; Trip soon constructed the Electro Booster36. 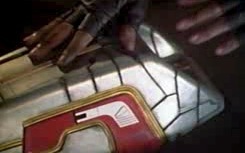 After archaeologists discovered the Quantum Controller (lost by Time Force in a time travel experiment), Eric inserted his hand, transforming the box into (or causing it to produce) the Quantum Morpher (which he then used37 and which Dr. Zaskin later studied38). 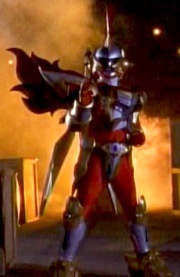 Alex later sent the Mega Battle39 and Strata Cycle40 (he also briefly took over as Red Ranger41). 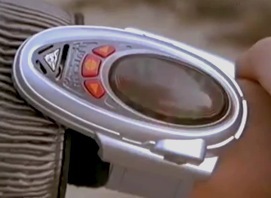 Later injured, Eric passed his Morpher and Quantum Defender to Wes42, allowing him to neutralize the Q-Rex's Trizirium crystal (with some adjustments by Trip)43. 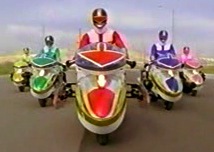 After Ransik's arrest, Jen and her teammates returned to the future, but Wes and Eric kept their respective Morphers in 200144. 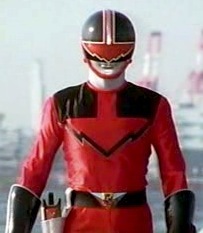 Wes and Eric morphed to battle Mut-Orgs in 200245; they were soon joined by Jen and her teammates, who morphed as well46. 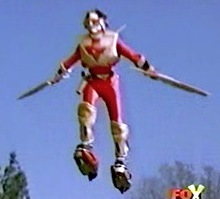 Wes and Eric used their powers once again during Tommy's Red Ranger mission47. 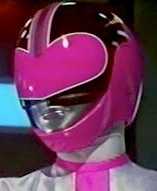 Hayley noted most Rangers didn't have their powers anymore48 (but did this include the Time Force Rangers?). Five (?) 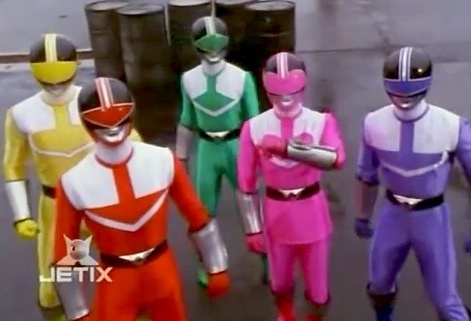 Time Force Ranger Keys allowed the main Super Mega Rangers to morph into Time Force Rangers49 (technically, only Pink was shown in use, but five key-like figures resembling the Time Force team were seen in the Command Center50). 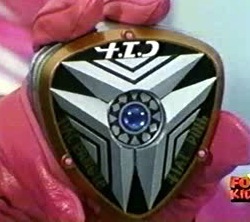 Orion used a Quantum Ranger key to summon his Q-Rex51. 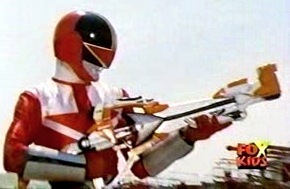 The Quantum Ranger's powers (via the Quantum key) were apparently among sixth-Ranger powers used in Orion's Gold Mode52. 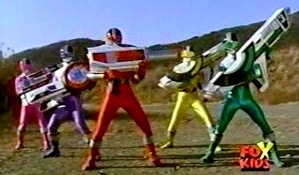 The six Time Force Rangers themselves later joined in the Legendary Battle53; Red removed his helmet, revealing himself as Wes. 1. Force from the Future, part 1, et al. 2. Force from the Future, part 2, et al. 3. Something to Fight For, et al. 6. Something to Fight For, et al. 9. A Blue Streak, et al. 11. A Blue Streak, et al. 12. Uniquely Trip, et al. 15. 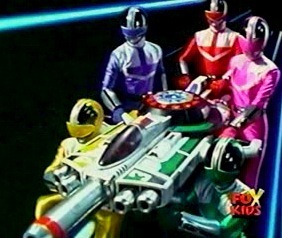 Undercover Rangers, et al. 16. Beware the Knight, et al. 23. The Quantum Quest, et al. 24. Clash for Control, et al. 27. The Quantum Quest, et al. 29. Clash for Control, part 1, et al. 30. Quantum Secrets, et al. 50. 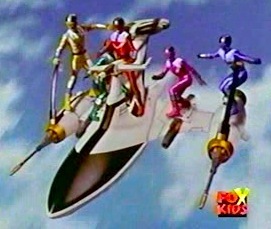 Mega Mission, et al. 51. Silver Lining, part 2, et al.